Camp Fees - £70 for the first child from a family and £60 for other children in the same family. Essex Police joined in the fun and games with 163 Sikh children at the annual children's summer camp held at Guru Gobind Singh Khalsa College, Chigwell last week. The camp ran from Sunday, July 27, to Sunday, August 3. During the week, the campers were given the opportunity to learn about and experience the Sikh way of life through prayer, music, activities, talks and workshops. The children were split into 14 groups monitored at all times by between two and three voluntary group leaders. Participants at the camp enjoyed traditional Sikh and English meals each day. All the teaching was in English and was well organised with time aside for leisure and recreational play, sports and games. Workshops were led by local police officers and police community support officers (PCSOs) in conjunction with Essex Police's dedicated youth participation worker, Dan Rankin. Subjects such as policing, the extended police family, drugs, knife crimes and personal safety were covered. An interactive relay-race run in old police uniform (including riot shields and body armour) got the children's pulses racing. Amardeep Singh Sidhu, from 'Signature' who was the runner up on this year's television programme 'Britain's Got Talent' attended the camp. Amardeep, whose cleaning and sweeping dance routine excited the nation was helping out singing with the children. He said: "Last year I helped all week, but since the show, life has been very busy. I am only helping out for a few days in between touring, but this time I have been doing some real sweeping!" 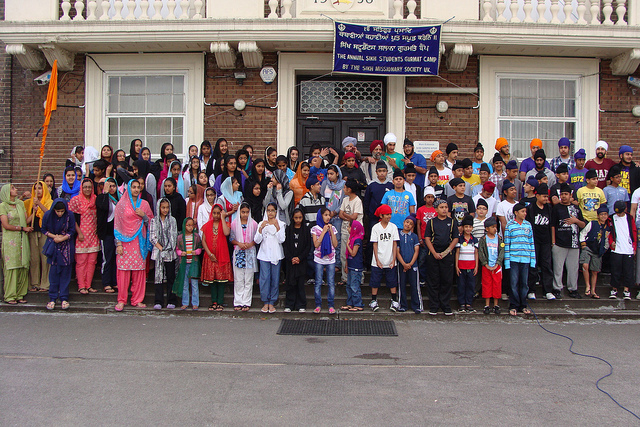 The annual children's summer camp is run by the Sikh Missionary Society U.K. The society is an established and respected presence in the Sikh community in the UK and the rest of the world. The camp itself has also become an established event in the school summer holidays, and this year marks its 31st anniversary. It attracts Sikh children aged between nine and 15 years from all over Europe. The camp has been held in various locations in its 30-year history, in towns and cities such as Newcastle, Southampton and Gravesend. This year was so successful, that despite only word-of-mouth advertising, approximately 100 children had to be turned away. Loughton inspector Simon Werrett said: "The initial contact was made by the Sikh Missionary Society through the Essex Police web site requesting our attendance in a joint partnership event. This is an excellent opportunity for us to engage with children from minority groups on a variety of subjects as well as providing officers the opportunity to learn about the Sikh way of life. Often we are in involved in enforcement activities with young people, so it is good to share positive interaction with the children. All the team enjoyed being involved and have had a fantastic time." 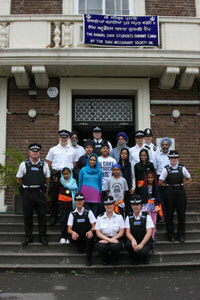 Camp organiser Surinder Purewal, who normally works as the assistant director of internal audit for the Metropolitan Police, said: "It has been an educating and challenging week for the children, it's been good for them to get to know the local officers and understand the work they do. They have received valuable lessons to help them stay safe."